The head of the EU’s five-month-old project to counter Russian propaganda online is appealing to MEPs for help to spread information about the EU. The nine-person staff of the East Stratcom programme has no budget, and started monitoring Russian misinformation last September, under the wing of the European External Action Service. Around 400 contributors located around the EU and Eastern Europe alert the group when they see propaganda. East Stratcom tweets mostly in Russian and English from its account, EU Mythbusters. Its weekly Disinformation Review lists examples of recent Russian media spin, mostly from online sources. Giles Portman, head of East Stratcom, wants to expand the programme’s network of helpers. “There is a limit to how much we as the External Action Service can reach into the public of the member states without others’ help. That means the help of the member states, but I really think we can use your help as well to support our network and spread the information we find out,” Portman told MEPs in the Subcommittee on Security and Defence (SEDE) yesterday (18 February). The anti-propaganda campaign might soon get the boost Portman wants from Parliament. A report on East Stratcom is set to face a vote in the Parliament’s Committee on Foreign Affairs (AFET) in June and a plenary vote one month later, EURACTIV has learned. Polish ECR MEP Anna Elżbieta Fotyga (Prawo i Sprawiedliwość), chair of SEDE, will be rapporteur on the report. A Parliament source said the report will address propaganda from Russia, neighbouring countries including Ukraine and Georgia, and also the Islamic State. Fotyga wasn’t immediately available for comment. MEPs approved a report last November that would make internet companies liable for extremist posts. Meanwhile, the European Commission is convening with companies behind closed doors to encourage them to remove extremist content. Europol alerts companies to request posts be removed. 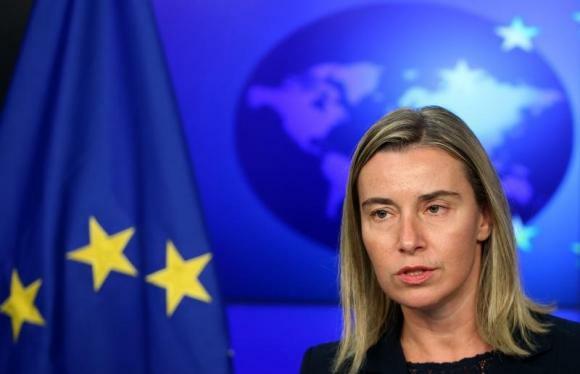 A small group of eight officials in the European External Action Service will engage in efforts to respond to massive Russian propaganda directed both at the home and international audiences. Several MEPs argued that East Stratcom should aim to influence EU residents with its campaign to counter Russian propaganda. “I think our main focus should be on the western public,” said European Parliament Vice President Ioan Mircea Pascu (Romania, S&D). “With our leaders I think you should increase the awareness of these things. How much can you convince leaders that these things are important?” he asked. When East Stratcom was started last year, the programme was criticised because EU member states didn’t agree on how to address Russian propaganda. Portman assured MEPs the programme does target EU residents. “Half the French population in a recent poll said they blamed Kiev for the current war. A third of Germans did. We can see in Greece that more people sympathize with Russia than the EU,” Portman said. Portman cited the External Action Service’s new Russian-language website that went up last week as an example of outreach to Russian speakers. 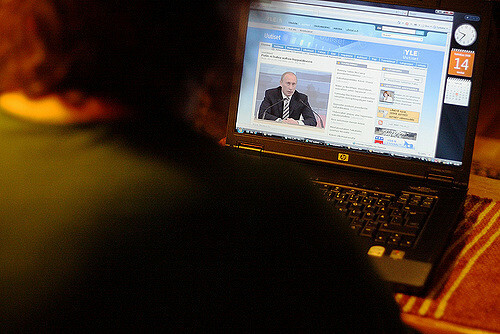 The group is working with NGO European Endowment for Democracy to create so-called news hubs and content-sharing platforms to disseminate information about the EU. They also want to offer training and exchange programmes to give journalists “the training but also the access to alternative sources of information so that they can produce more balanced and objective news,” Portman said. Russian domestic television, under strong state control, has portrayed the pro-Russian insurrection in eastern Ukraine as a spontaneous reaction to a coup by nationalist Ukrainian forces in Kyiv. The West accuses Moscow of fomenting the fighting, providing arms and troops - something the Kremlin denies. Russian government-funded TV stations, like RT, broadcasting in English, Spanish, Arabic, German and French have been steadily expanding their operations. Many Western broadcasters cut back their Russian-language services after the Cold War. In November 2014, Russia launched a state-of-the-art media organization with hundreds of journalists abroad intended to wean the world off what it called aggressive Western propaganda - dubbing it, with echoes of the Cold War, Sputnik. September 2015: East Stratcom set up in the External Action Service to counter Russian propaganda. Why doesn’t the EU just create an EU world Service like the BBC? If it can be done at the national level surely the Euronews could be extended to Radio & Freeview platforms? Spot on Joe, they could then join the disinformation game. and how its representatives have been selected. Vladimir Putin: 25 percent violence, 75 percent propaganda. EU: 100 percent wussy. what’s that poem…. what a tangled web we weave when first we practice to deceive. Replace ‘we’ with government and you will hit the nail on the head every time.